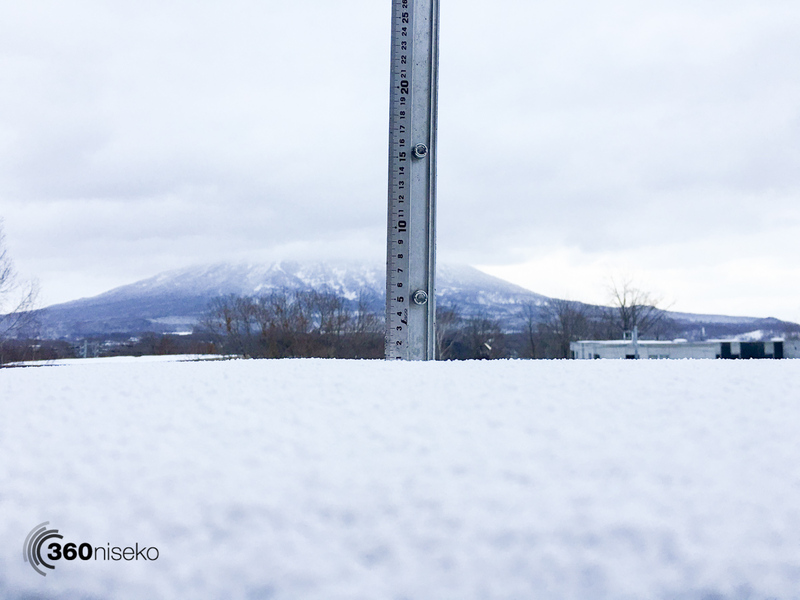 *0.5cm of fresh snow has fallen in the last 24hrs in Hirafu Village. At 7:00 today the temperature was 1°C. Yesterday’s rainfall, wind and warm temperatures all combined to make it a “challenging” day on the mountain. We were hoping for some significant snowfall overnight however our dreams have been dashed here at village level. Hopefully Santa-san will bring some pow wow for everyone on the 25th!